Looking for a list of the best woodshop tools and equipment? Whether you’re a home DIY enthusiast or want to start your own woodworking business, it can be hard to know where to start. What equipment to buy and will it cost a fortune? Luckily, you don’t need to spend a lot of money to start your wood shop. You’ll only need a few of them, and they’re listed below. These woodshop tools and equipment are inexpensive, and you can use them on any number of projects throughout the year. We’ve also taken the headache and legwork out of shopping around and listed the highest-rated options on Amazon Prime. That way you know you’re getting the best deal and getting equipment that will last! So in this post, we’re listing out all the essential woodshop tools and equipment you need for almost any job, big or small. You might have read somewhere that it’s more convenient to use a cordless drill. In some sense, yes, it’s handier as it’s portable. You can bring it anywhere. However, a corded drill is more powerful and versatile. You must consider some options first before purchasing one. For instance, you must choose whether you prefer 1/2- or the 3/8-inch chuck? Generally speaking, a 3/8-inch is more for a DIY homeowner whereas the 1/2-inch is more for the pros. The 1/2-inch tend to be more powerful and last longer due to their increased ability to take the wear and tear of big projects and frequent use. Do you want the hammer drill or a regular drill? The hammer drill is great for drilling into harder surfaces like concrete, masonry or stone. If you will primarily be working with wood, a standard drill would be your best choice. 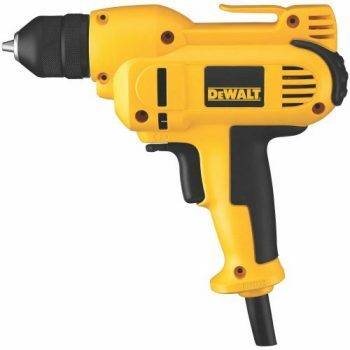 The highest rated corded power drill on Amazon Prime is the DEWALT DWD115K. It’s a 3/8-inch reversible, variable speed drill. Many would consider the circular saw more of a tool for carpentry rather than a useful woodworking tool. However, that’s not entirely accurate. You can use this type of saw in many things. It can handle some tasks you normally do with a table saw. You can use it to cut sheet goods, such as medium-density fiberboard and plywood. If your budget is tight, you must consider getting the circular saw as it can get many things done, especially when you’re a beginner. The other benefit of the circular saw over the table saw is the ability to bring it to your materials instead of the other way around. For instance, if you’re building a deck, it’s far easier to cut the boards on site rather than haul them to your table saw and back again. 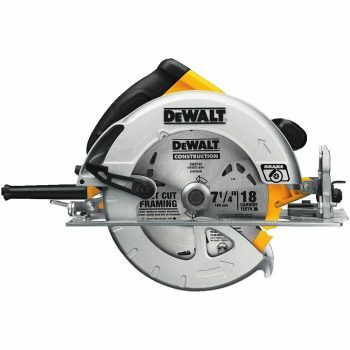 The highest rated corded circular saw on Amazon Prime is the DEWALT DWE575SB. It rates 4.5 stars with over 500 reviews and is an Amazon’s Choice product. 7 1/4″ saw blade, built in dust blower and lightweight are just a few of the reasons this is one of the most popular circular saws on Amazon. You might be thinking that it would be less expensive to get palm sanders or plain sandpaper. You would be right about the initial cost savings, but the real value is in the finished product. The random orbital sander uses the hook-and-loop sanding disks that are attached to it. Because it uses a random sanding motion, it doesn’t leave swirl marks or other obvious indications of sanding. Just ensure that your wood shop tools supplier has sanding disks available in a variety of grits to match your preference, as the secret to correct sanding is to utilize finer grits to lessen or eliminate any marks that were left behind from past sanding. 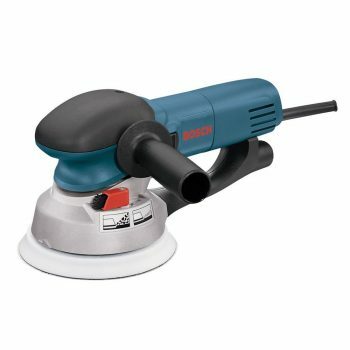 The highest rated random orbital sander on Amazon Prime is the Bosch 1250DEVS . It rates 4.5 stars with over 200 reviews. Includes soft start for reduced start-up torque, variable speed to match speed to any work piece and a vacuum port for dust collection and mess-free sanding. A jigsaw enables you to cut circular and curved patterns in wood. Of course, a band saw is likely more accurate and can cut through thicker stocks. However, for beginners, the jigsaw, which is also known as the Sabre Saw, can be just as effective. For flexibility, you must get the corded jigsaw since it has a simple blade-changing system. 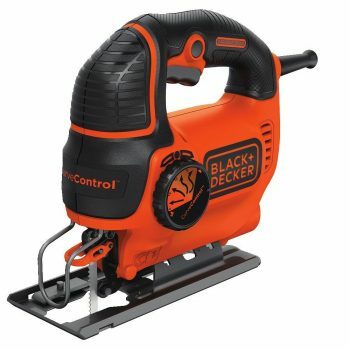 The highest rated jigsaw on Amazon Prime is the BLACK+DECKER BDEJS600C. This can make 45-degree bevel cuts; with an adjustable shoe for stability and features a new and improved Wire Guard which provides a clear line of sight for precise cuts. It rates 4.5 stars with over 200 reviews and is an Amazon’s Choice product. 5 Amp variable-speed motor; up to 3,000 SPM of cutting power. At under $30, this one is a no-brainer! After purchasing the four handheld woodshop tools and equipment mentioned above, it’s time that you make your first purchase of a major tool. The table saw is viewed as the soul of every wood shop. Due to this, it’s a must that you get the best table saw that comfortably fits your budget. Be patient and take all the time you need in determining which features you both need and want. 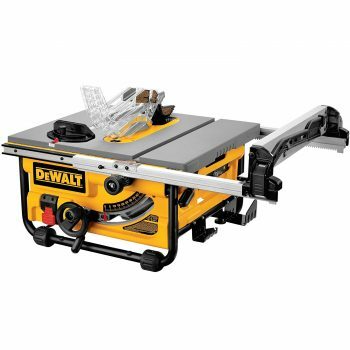 The highest rated table saw on Amazon Prime is the DEWALT DW745. It rates 4.5 stars with over 900 reviews and is an Amazon’s Choice product. Powerful 1850 Watt motor for high performance in all applications. Overload protection system ensures powerful performance in hard, wet or frozen woods. After purchasing a table saw, the next power tool you must consider getting is a compound miter saw. 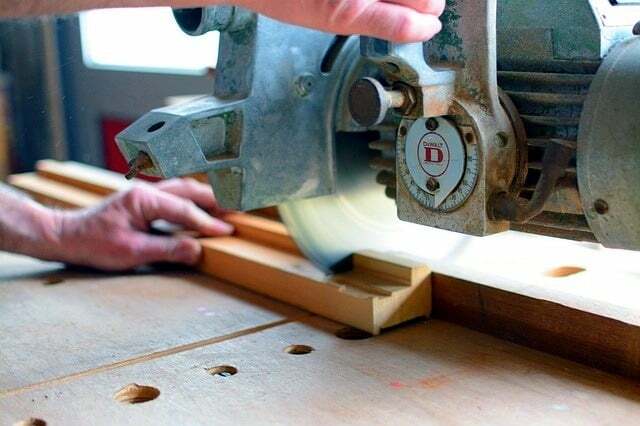 A miter cut is when you’re joining 2 pieces of wood (or other material) and instead of a straight cut, you want them to connect at an angled cut. The most common example of this in your house would likely be the trim around your doors and baseboard trim at the corners. A compound miter saw is a useful tool in cutting multiple angles, such as mitered, beveled, and combination cuts, on the ends of a stock piece. A miter saw is definitely one of the most indispensible woodshop tools and equipment on this list. Once you’re able to make clear cuts with your miter saw, you’ll be spending less time using your circular saw. 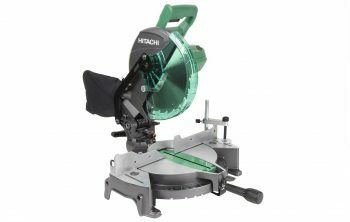 The highest rated compound miter saw on Amazon Prime is the Hitachi C10FCG. 0-52 degree miter angle range to the right & left for increased flexibility and 0-45 degree bevel range to the left to provide clean and accurate bevel cuts. Thumb actuated positive stops for quick miter adjustments. It rates 4.5 stars with almost 600 reviews and is an Amazon’s Choice product. Dust collector attachment included minimizing dust. For under $100, this is one of the best deals Amazon has on woodshop tools and equipment. Another highly recommended woodshop tools and equipment you should get is a router. There are two types of routers available today: the plunger router base and the stationary base. For many beginners, it’s better if they choose a high-quality stationary base. 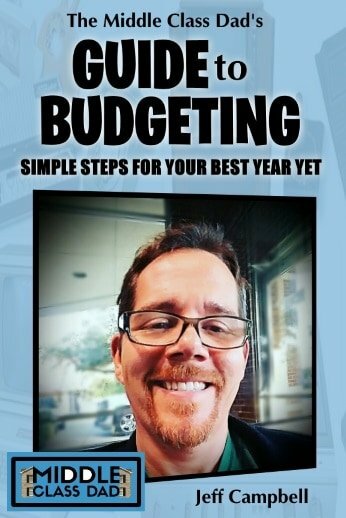 You must get these tools first before anything else so you can start your business or bog projects effectively. Listed below are some of the tools you’re still going to need after you have completed those listed above. 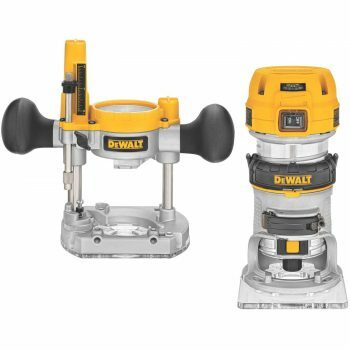 The highest rated router on Amazon Prime is the DEWALT DWP611PK. Durable, Variable speed 1.25hp motor delivers the power to meet the toughest applications. It rates 4.5 stars with over 600 reviews. Soft-starting motor features full-time electronic feedback that maintains motor speed through the cut. Allows up to 1.5″ of depth travel with standard base & 2″ with plunge base. They’re essential when you build a project. They hold the parts together, while these parts are assembled, glued, measured, cut, etc. For instance, if you’re going to repair a wooden window, you’re going to need a lot of clamps. 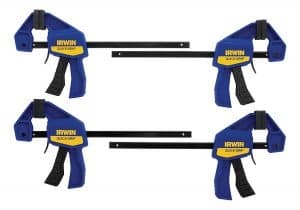 You must be generous when purchasing clamps because you’re going to need more of them than you expect, and it becomes complicated when you don’t have enough clamps. It’s included here to remind you that you must get the one of top quality. Hammers are inexpensive tools; so, make sure you get a great one. One with better grips causes less strain on your hand and wrist. However, if you have the money and you prefer to finish the job faster, you can opt to purchase a nail gun. Another primary tool that you should have is a set of chisels. Chisels allow you to add intricate details to wood (and other materials) that clunkier tools like a saw can’t do. Every woodworker knows how great measuring tapes are. It costs under $15 and can already do accurate measurements for your projects. A rubber mallet is a type of hammer. If you’re going to use chisels, you need to use them with a mallet. Never use a regular hammer, especially if you’re repairing wooden furniture. 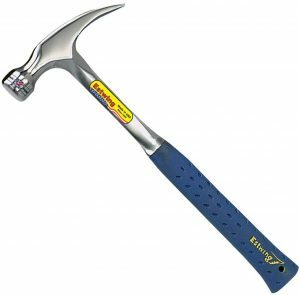 It will only cause further damage as a regular hammer can hit harder and cause big gouges. These are stands that have a variety of uses. You can use a sawhorse to cut huge wood board pieces. Also, you can operate it as a tabletop by placing a piece of plywood between 2 of them. Did we list all the woodshop tools and equipment you were looking for? In this post. we took a look at all the basic woodshop tools and equipment every pro and DIY enthusiast needs for their workshop. We listed all the essentials and then linked to the top-rated ones on Amazon Prime to take the legwork out of your shopping process. There are many wood shop tools you can use, depending on what type of project you’re doing. 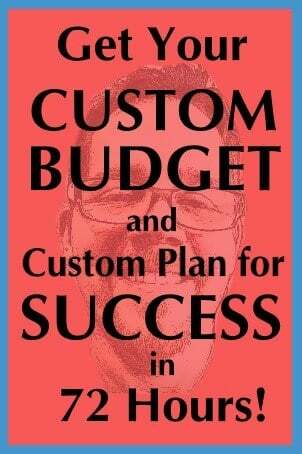 The key is to plan carefully, determine the tools and materials needed, and what needs to be done to reach the goal. The tools and equipment mentioned above are among the most used and most essential. Good luck in your wood shop! 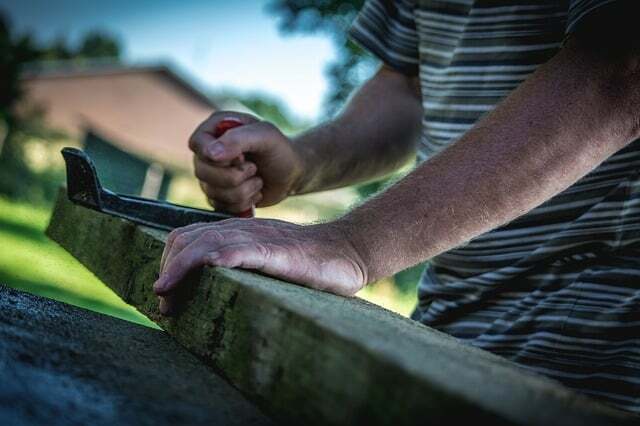 What has been your biggest DIY or woodworking project? Jimmy loves sharing his knowledge on Woodworking and Home Improvement techniques at Air Tool Guy. Follow his blog for more tips and tricks of tools around the house.